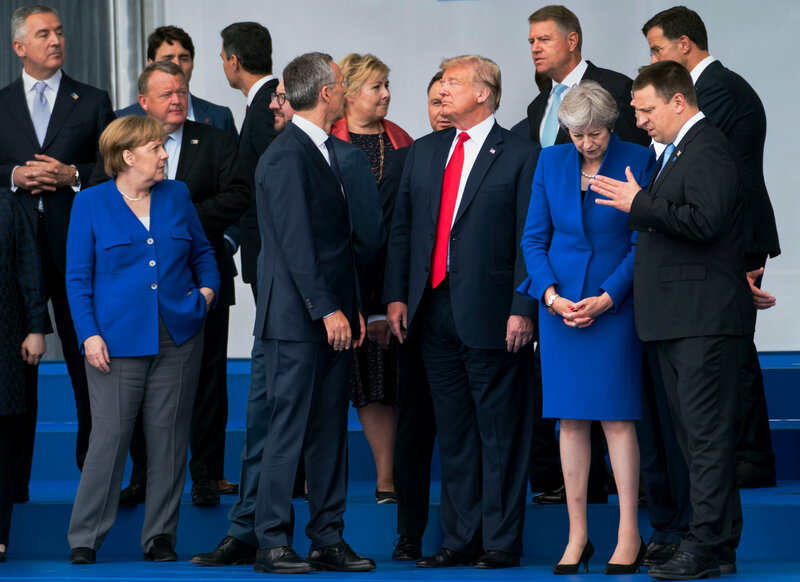 BRUSSELS: A raucous and divisive NATO summit concluded Thursday with all 29 NATO member states agreeing that there still is a common commitment to the military alliance after US President Donald Trump said everyone had committed to push up defense budgets. Responding to reports that he had threatened to leave the alliance if no major increase in spending was visible, Trump said “that is unnecessary” because of all the commitments for more spending he saw around the table. Trump called it “a fantastic meeting,” speaking at a news conference before flying to Britain. He did not immediately say what those commitments consisted of. German Chancellor Angela Merkel told reporters in Brussels that “there was a clear commitment to NATO by all” at an emergency session of the military alliance. Trump has several times assailed Germany for not spending a large enough proportion of its gross domestic product on defense. Merkel stressed that Germany is NATO’s second-biggest contributor when it comes to troops. Tensions rose on the final day of the two-day summit when members met in an emergency session amid demands from Trump for all members to spend 2 percent of their gross domestic product on defense. “We are paying for far too much of NATO,” Trump said. Also Thursday, NATO Secretary-General Jens Stoltenberg insisted that Georgia will one day join the world’s biggest security alliance, despite separatist ambitions in parts of the former Soviet republic. Stoltenberg said that “Georgia will become a member of NATO.” He said the 29-nation alliance supports the territorial integrity of Georgia, including its sovereignty over the breakaway regions of Abkhazia and South Ossetia. Russia and Georgia fought a brief war in 2008, which led to the regions declaring independence. Russia has since been supporting them financially and militarily. Despite Georgia’s important contribution to NATO operations, the alliance is unlikely to invite the country in until the conflict with the two regions has been resolved.